We provide consulting, creative, and channel execution for CRM and digital marketing initiatives to Fortune 500 and growth companies. Our nimble team of senior resources will rapidly integrate with your team to design campaigns that deliver results and achieve your goals. Our CRM and digital specialists are singularly focused on driving measurable revenue. We focus on data to provide evidence that drives an optimized outcome. Our senior team will actually work on your business. You’ll get big agency experience with the responsive service of a boutique. In a word? We are Pragmatic. We are an extension of your marketing team, focused on solving challenges with right-sized solutions customized for your business. Brooke is a senior account lead with expertise in CRM and digital campaigns for acquisition, lead generation and retention. 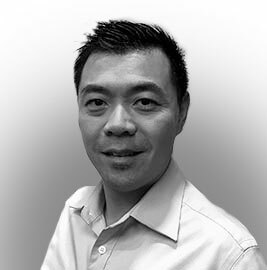 Vince is a CX and customer strategy advisor with a focus on pragmatic, results-driven solutions for senior management teams. Maggie is a seasoned account director with experience in database and direct marketing and a passion for driving measurable ROI. Jay is a results-obsessed digital and integrated marketing executive with 15+ years of agency and client-side experience. Karin is a senior marketing professional with knowledge of various industries from sports marketing to direct and digital marketing. Amanda is a creative leader with extensive experience in direct response marketing across a variety of print and digital channels. Jessica is highly experienced digital & CRM practitioner with expertise in customer lifecycle strategy and marketing automation. Aram is a deeply experienced writer with over 20 years of developing strategy-driven, results-oriented creative. 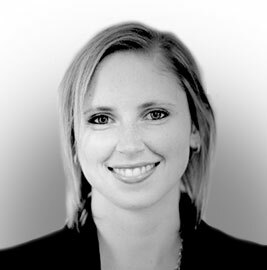 Megan is a marketing professional with experience in managing lead generation and customer retention campaigns. Angela is a seasoned marketing professional with 13 years of working at major brands building CRM programs from the ground up. 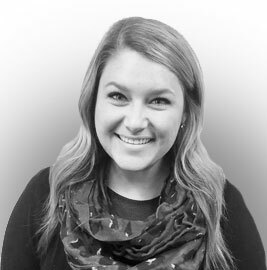 Madison is account manager with deep expertise in marketing automation, CRM strategy, and execution across industries. 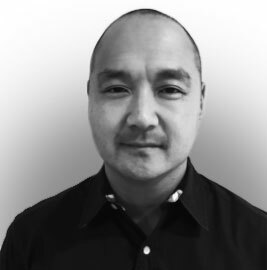 Yuri is an accomplished marketer with 15+ years of agency experience with a focus on financial services and retail. 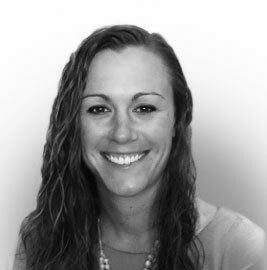 Nicole is an account leader with pharma and tech experience, specializing in customer engagement and data-driven strategies. Lisa is a web content manager with a diverse background in eCommerce and publishing for the construction and fashion industries. Anna is an analytics specialist with 10+ years experience in database, digital, and direct marketing measurement and strategy. Amy is a creative leader with 15+ years of direct response marketing, integrated branding and campaign experience across digital and print media. Lloyd is a digital and CRM marketer with 20+ years of agency experience, working across industries, and client-side at Oracle. Brooke is a client focused account lead with expertise running integrated campaigns for acquisition, lead generation and retention purposes. She comes from a CRM and digital agency background with a talent for handling projects from initial strategy and development through to execution and analysis. Her passion is in understanding client’s goals and helping deliver positive results through using tried and true direct response tactics and continued optimization. She previously worked at Merkle, the largest privately held performance marketing agency, where her primary focus was in the financial services, entertainment and tech verticals. While there, she helped guide clients such as Gap, Sunrun and DIRECTV, to define and execute targeted acquisition and customer marketing campaigns in order to cost-effectively grow and retain customers. 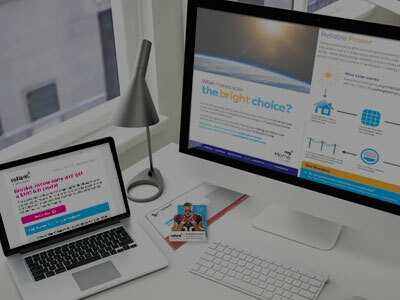 Prior to that, Brooke worked at New Control, a full service direct and digital marketing agency built on driving increased response and improving conversion. Her clients there were Chase, US Bank, Visa, Southwest Airlines, ClearSlide, SelectQuote, HSBC, Grainger and Canadian Tire. Brooke earned a B.A. at University of Virginia. She loves exploring Northern California, whether by foot, bike, car or ski! Vince is a customer experience transformation and customer strategy advisor with a focus on pragmatic, results-driven solutions for senior management teams and owners. Since 2010, Vince has served as a strategic advisor to several mid- and large-cap growth companies in energy, healthcare, insurance, online media, mobile, and health & fitness, where Vince tackled issues ranging from customer relationship management (CRM) infrastructure, customer retention and loyalty strategy overhaul, customer experience measurement (NPS), and investor due diligence. Vince previously served as Chief Customer Officer at 24 Hour Fitness Inc., the largest health club chain in the world, where he led the company’s end-to-end customer experience transformation and retention efforts, bringing a unique blend of professional experiences across consumer marketing, customer intelligence/analytics, and technology transformation. Prior to his operating experience, Vince was Senior Consultant at Bain & Company, where he advised senior executives at leading technology and retail companies on operational effectiveness and growth strategies. Vince has worked extensively across the U.S. and Asia. He earned his B.A. in economics and M.S. in operations research from Stanford University, and his M.B.A. from the Harvard Business School. 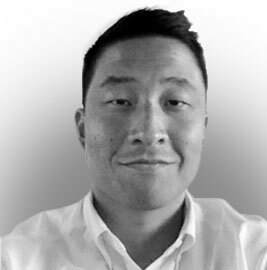 Vince is co-founder of the Harvard Business School Asian-American Alumni Association, and is a frequent speaker at the NPS Forum, Ad:Tech, OMMA, DMA, Email Insider Summit, and the CRMC. Vince is also an avid hiker and international traveler. Maggie is a seasoned account director with 15+ years of experience in database and direct marketing combined with a passion for driving measurable results for clients. Maggie has been on both the client and agency side, working in many different industries, including: healthcare, IT, financial, tax, pharma, and the energy sector. Maggie started her career in event and brand marketing, but most recently has led database and direct marketing initiatives within customer marketing programs for Hill’s Pet Nutrition, H&R Block and AbbVie at Epsilon. Maggie attended the University of Kansas. She has a husband and two children. Maggie spends her free time shuttling her kids to and from birthday parties, activities, sporting events, and coordinating play dates. She loves to travel and cheer on the KU Jayhawks. Jay is a results-obsessed digital and integrated marketing executive with 15+ years of agency and client-side experience building and managing successful strategy, creative and execution teams. Jay has a strong track record developing multi-channel ROI-focused programs across the customer lifecycle for Fortune 500 companies in the financial, healthcare, travel, entertainment, consumer electronic and energy sectors. At Pragmatic, Jay is responsible for applying his deep experience integrating paid, earned and owned digital and traditional channels in order to drive measurable improvements in ROI/ROMS across the customer lifecycle for clients. Prior to joining Pragmatic, Jay held executive-level roles at Merkle, New Control and The Kessler Group where he built and managed high-performing digital and direct marketing teams, driving results for clients including: Visa, WellPoint/Anthem, Sony, McKesson, Chase, Sungevity, Sunrun, Washington Mutual and Providian. Jay is a published poet who earned his B.A in English Literature from the University of California at Berkeley, and MFA in Creative Writing and Hypermedia from Brown University. He enjoys skateboarding, camping, kayaking and enjoying the outdoors with his wife and two children. Prior to joining Pragmatic, Karin worked at Merkle, New Control and McDonald’s Corporation. Karin started her career at McDonald’s on the client side. While there she worked in the Creative Services department maintaining the online asset management system and supporting the events team. Later she worked at New Control and Merkle on the agency side primarily in the financial services and entertainment verticals. She worked with clients such as Visa, Chase, Southwest Airlines, Hyatt, Gap and DIRECTV helping to execute both acquisition and retention strategies. Karin attended Illinois State University. She loves traveling, playing volleyball and football season. Amanda is a creative leader with extensive experience in direct response marketing for print and digital channels, across industries including financial services, wireless, and tech. Prior to joining Pragmatic, Amanda served as a Creative Director at Merkle, working with clients including Cricket Wireless, Chase, The Hartford, Humana, MetLife, Nestle Waters, and Samsung. Amanda graduated from the University of Illinois at Urbana-Campaign and lives in the suburbs of Chicago with her husband and twin toddlers. Jessica is an account manager with experience in digital marketing for customer lifecycle strategy. With experience both in-house and on the agency side, Jessica has led cross-channel initiatives from planning to execution to optimization. 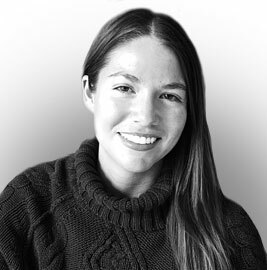 Jessica has worked in a number of industries—higher education, automotive, dental, beauty, and more—focusing on both B2C and B2B communications. She started her career specializing in email marketing and has most recently rolled out large-scale communication strategies in marketing automation softwares. Jessica attended California State University, Long Beach and currently lives in Seal Beach, CA. She loves any outdoor activity, doing yoga, and reading. Aram is a senior copywriter with over 20 years of experience writing strategy-driven, results-oriented copy across a broad spectrum of media, from direct mail and award-winning online content to broadcast and print. He’s worked on client side as well as the agency side, pulling verbal rabbits out of marketing hats for brands like Microsoft, Charles Schwab, GE Money, Kaiser-Permanente, Ebates, Kimberly-Clark Healthcare, Lipton-Tea, and Red Lobster. He began his marketing career at M. Gould & Co., a boutique DM agency that soon evolved into McCann Relationship Marketing after its acquisition by Interpublic Group. He’s also enjoyed extended stays at companies such as Acxiom Corp, where he conceived a desktop zen garden app for Kaiser Permanente that brought the company its very first creative award (the garden featured a banner that scrolled marketing and lifestyle messages). He also brought his wordsmithing expertise to Kodak Gallery for two consecutive Q4 periods, and to the Kessler Group. Aram has a B.A. in American Literature from UC Santa Cruz. He loves traveling, as long as the destination is Hawaii, Disneyland or Las Vegas and enjoys drone photography and going to see live music. Aram and his wife, Cathy, live in Castro Valley with their two boys and an adorable cockapoo, BellaDonna. Megan is a marketing and advertising professional with experience in executing and analyzing marketing campaigns, lead generation, and client retention. Before joining Pragmatic, Megan worked as an Account Executive for Hogarth Worldwide, working onsite with Apple where she managed transcreation teams, promoted their international implementation, and global brand identity. Megan earned her B.S. in Advertising from the University of Colorado, Boulder. She loves traveling, music and spending time with friends and family. Angela is a seasoned marketing professional with over 13 years of experience in building and executing marketing strategies for various industries including energy/utility, entertainment, retail, service and non-profit. Her focus is in CRM and customer retention and thrives on the combination of art and science to create compelling communications. Prior to joining Pragmatic, Angela was at NRG overseeing the CRM marketing team. She was responsible for strategy to execution of all customer communications. She was an integral part of developing a new CRM platform from the ground up and provided guidance on identifying at-risk points of a customer’s lifecycle. In addition, Angela has tremendous client-site experience including Cintas Corporation, Walt Disney Company and City of Hope where she focused on brand, digital, direct, and cause marketing. Angela earned a B.A. in Marketing at The University of Texas Austin – "Go Horns". She also has a degree in Fashion Merchandising and Design where she went to school in Los Angeles. She enjoys spending quality time with her husband and two young children and in her spare time, watching reality tv as a stress reliever. She loves to travel the world, explore new foods, and shop. 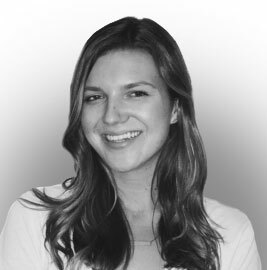 Madison is an account executive with an extensive background specializing in marketing automation. From lifecycle strategies to campaign implementation and execution, Madison has worked with companies in various industries, including education, beauty, food & beverage, and more. Madison started her professional career working in a showroom in Los Angeles, managing client relationships and running digital marketing. From there she helped her family open their restaurant in Long Beach, The Crooked Duck. After completing her degree, she immersed herself in marketing agency life, ultimately joining the Pragmatic team. As a true Long Beach native, Madison got her degree from California State University, Long Beach. She loves traveling, waterskiing, and spending time at her family cabin in Idaho. Yuri is an accomplished marketing professional with 15+ years of direct and digital agency experience. Throughout his career, he has built a reputation for delivering data driven, multi-channel campaigns and achieving meaningful results for his clients. Prior to joining Pragmatic, Yuri served as a Senior Director with Merkle leading Sony Rewards CRM efforts, managing the Sony and PlayStation Card portfolios and spearheading Brand Activation engagements for Sony. His experience spans multiple industries and includes clients such as P&G, Citi, Grainger and Loders Croklaan. Yuri is a graduate of Ohio State University and a Cincinnati native, where he resides with his wife and three children. Nicole is an account supervisor with a pharma and technologies background, specializing in customer engagement and database-driven strategies. She is a 7-year marketing veteran, getting her start with Chattem (Allegra Allergy) including integrating their consumer CRM program. She has since had the opportunity to work within a wide variety of products and categories; Tysabri for multiple sclerosis, Basaglar insulin therapy for Type 1 and 2 diabetes, Alcon for cataract surgery and Dell for computer technologies. 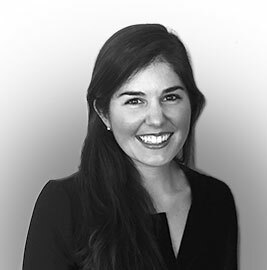 With a strong focus on strategy, Nicole has been the essential partner to her brand teams in establishing the goals and objectives for successful strategy pull-through in all deliverables and tactics across multiple stakeholder audiences. 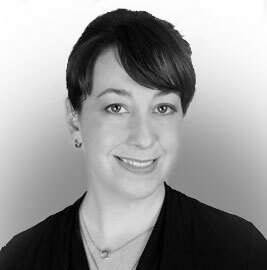 Nicole has extensive experience in the professional and consumer space, across print and digital media, including websites, mobile applications, and customizable CRM platforms. Nicole earned her B.A. at Texas Tech University. In her downtime, she enjoys running at the lake with her pup Brodie and saltwater fishing with her family. 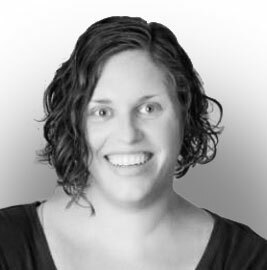 Lisa is a web content manager with a decade of experience in publishing and ecommerce. She has a diverse background with a strong focus on the construction and fashion industries. Before joining Pragmatic, she worked with brands such as Michael Kors, Contractor Nation, Fine Homebuilding, and Fine Woodworking. As a web producer she has specialized in creating and marketing content to drive brand success in the online media sphere. As a product and project manager she has effectively increased customer engagement in the continuously evolving digital media landscape by launching new digital products and releasing new website features. Lisa earned a degree in Digital Media from Marist College in Poughkeepsie, NY. She currently resides in Connecticut with her husband and uses her free time to travel, go sailing, tackle an array of home improvement projects, and discover new craft breweries. Anna is a marketing analytics specialist with 10+ years experience in database, digital, and direct marketing measurement and strategy. She has worked on both the agency and client side, with clients across industries, including: retail, education, financial services, communication, and healthcare. 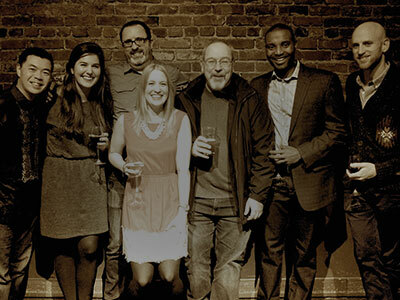 She started her career in the Strategy & Analytics group at Digitas in Boston. It was there that she refined her passion for data-driven marketing, while working with clients including AARP, TIAA-CREF, MetLife, Bank of America, The Home Depot, and Cingular. After leaving Boston for Pittsburgh, Anna served primarily on client side, providing marketing performance analytics and insights for American Eagle Outfitters and Education Management Corporation. Anna attended Carnegie Mellon University, studying Decision Science, Policy & Management, and Statistics. She lives in Pittsburgh, PA with her husband and four children. Anna spends most of her free time at hockey rinks or soccer fields, watching her two oldest play. Amy is a creative leader with 15+ years of direct response marketing, integrated branding and campaign experience across digital, social, print, packaging and out-of-home media. Working extensively in both B2C and B2B markets, she is focused on identifying and leveraging brand strengths in streamlined communications that make an impact and drive response. Prior to joining Pragmatic, Amy worked with New Control and Merkle on a variety of financial clients including Chase and Visa, and consumer brands including 24-Hour Fitness and Sony. She also serviced as Creative Director at McGuffin Creative Group on the BMO Harris Bank account, spanning 23 different lines of financial business. Other accounts Amy has directed include National Association of Realtors, Home Warranty of America and Serta. Amy is a graduate of Bradley University, and currently lives in Chicagoland. She loves travel, most anything adventurous outdoors and her Ducati. Lloyd is a classically trained digital and direct marketer with 20+ years of agency experience working with clients across industries and on the client-side. He began his career at Wunderman, managing the American Express, Xerox and Lucent Technologies accounts. He also spent time at Havas as Group Account Director, leading the Schwab, Wells Fargo and E*TRADE businesses. 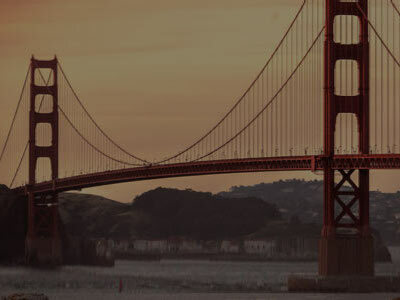 From there, Lloyd was on the client-side at Oracle where he ran Global Demand Generation, creating digital and direct marketing programs for their applications suite of products. Most recently, Lloyd was a Partner at New Control, a performance marketing agency which was sold to Merkle, a leading global database marketing firm. He is originally from the East Coast and attended NYU's Stern School of Business. In his free time, he tries to squeeze in golf when he's not chasing after his two kids! Lloyd and his wife, Jennifer, live in Danville, CA.